This carousel horse cake was made in a shaped pan with one mix. I used buttercream icing and some candy. The pole is a marshmallow twist thing. The main predicament That i get utilizing the majority composition products is certainly they will find it difficult to achieve best essay. The consequently produces him or her difficult to rely on when you want an item urgently. If you obtain word of mouth released to your potential customers, inform them they are able to make improvements to on this subject. 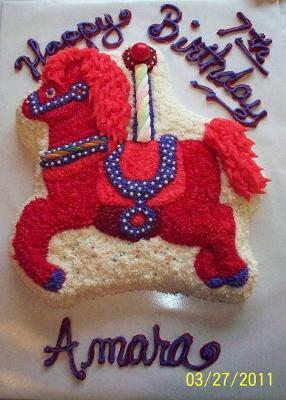 Hi there- My daughter is obsessed with horses and carousels and this is the ideal cake for her birthday. Where did you get this adorable cake pan? Thanks for you help!